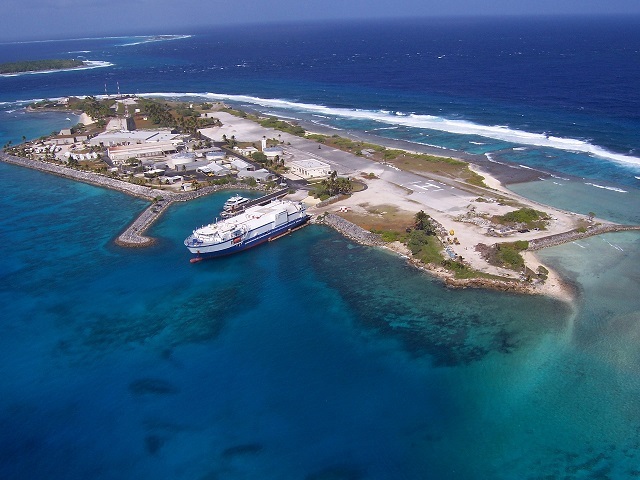 Johnson Controls Federal Systems has selected Hannah Solar Government Services (HSGS) to design, engineer, and construct a solar plus storage microgrid at a U.S. Army base in the Marshall Islands. Located at the Army Garrison Kwajalein Atoll on Meck Island, the project will include a 3 MWh energy storage system and 8,000 ground mounted solar photovoltaic modules with a capacity of 2.3 MW. Meck Island houses the Ronald Reagan Ballistic Missile Defense Test Site and is one of the 11 Kwajalein Atoll islands leased by the U.S. government. Johnson Controls Federal Systems is managing the microgrid project under an energy savings performance contract with the Army. The contract is designed to finance energy conservation measures with returns generated by energy savings over time. HSGS expects to begin installing the solar plus storage microgrid in the summer 2018. HSGS also is building a solar plus storage microgrid on Wake Island in the North Pacific Ocean via a contract with the Wood Group, formerly AMEC Foster Wheeler. The project — a 740 kW DC ground mounted solar array and a battery energy storage system — will serve a U.S. Air Force facility. The Department of Defense Energy Conservation Investment Program is providing funding for the Wake Island project, which is designed to create resilient energy for the small, remote island. The Air Force decided to pursue the project as part of a campaign to reduce fuel costs by using more renewable energy. Would you like to speak at Microgrid 2018? Sign up here by January 31! ​HSGS expects to begin construction of the Wake Island microgrid this year. Based in South Carolina, HSGS is a veteran-owned business that specializes in solar. Among its key clients are Ameresco, NASA, Target, the U.S. Federal Aviation Administration and the Centers for Disease Control. Track news about microgrids. Subscribe to the free Microgrid Knowledge newsletter.